On the food front, we serve salt beef and smoked gammon baps, pork pies and homemade scotch eggs. See the clubs page for details of our fantastic Breakfast Club dates. If you fancy something more substantial, please feel free to order your favourite take away and we will gladly provide plates and cutlery for you. We will even wash up for you - what could be better! 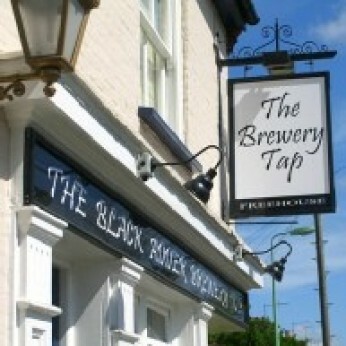 We're really sorry but we don’t seem to have any offers or events for Brewery Tap. We're sure there must be something happening here but they just haven't told us about it! Please do mention this to Brewery Tap when you next visit them.